Increase your home’s value and your family’s living space with beautiful outdoor living spaces and landscaping designed & installed by Little Rock Lawns. Thanks to Arkansas’ generally mild temperatures, outdoor living areas are an increasingly popular option for expanding living space and adding enjoyment and value to your home. 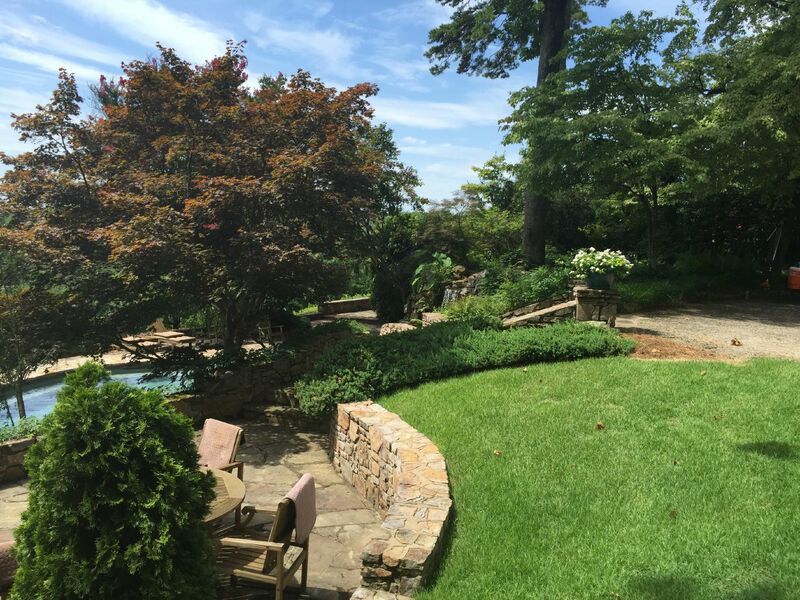 Little Rock Lawns has the skill and expertise to build permanent landscape features such as retaining walls and stone patios & walkways, and can handle all elements of your landscape design including electrical & irrigation. Whether you’re interested in re-landscaping your yard or adding a feature such as an outdoor kitchen, fire pit, or water feature, we’ll work with you on even the smallest details to help you achieve the landscape of your dreams. Once we’ve built your dream landscape, you can count on Little Rock Lawns to keep it looking great. Our lawn maintenance service not only covers routine chores such as mowing, weeding, and leaf removal; we also monitor the health of your lawn and plants to protect your investment in your landscape. Little Rock Lawns offers quality, reliable, professional landscaping services to West Little Rock, Little Rock, North Little Rock and Maumelle customers. Call us today for a FREE consultation on your new landscape or landscaping project!